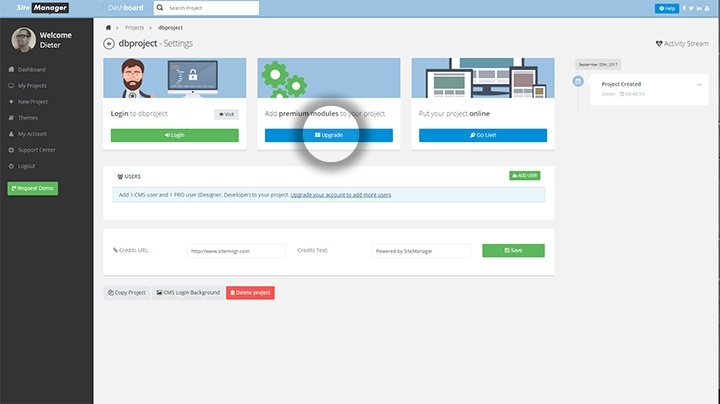 Before you can use databases the project owner needs to activate them in the settings page of the project. If you are not the project owner ask him to do this for you. 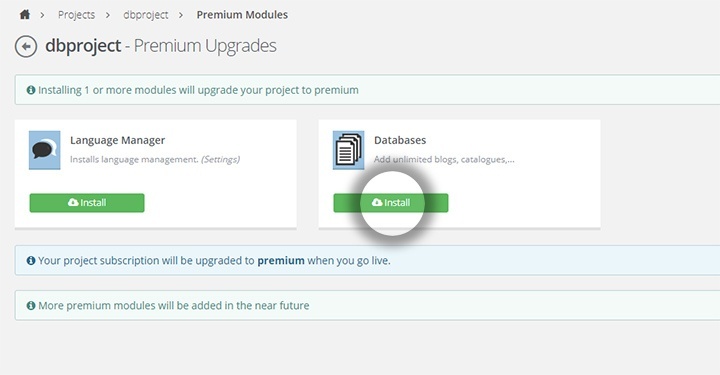 Go to the settings page and click the upgrade button below premium modules. Databases is now active for this project. Developers will be able to install pre-made databases edit them and create their own. Note: if you copy this project the database module will be copied as well, making the copied project a premium account as well.